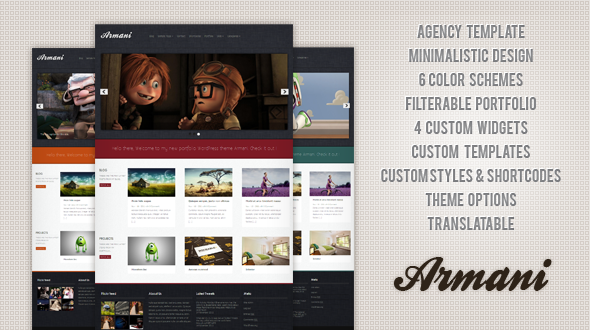 Armani is a premium portfolio theme for a designer or a design agency. 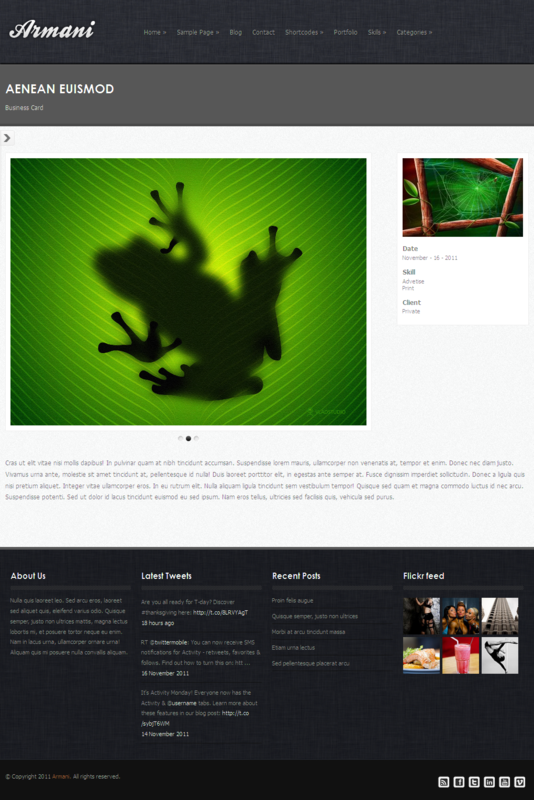 It is neat, sharp and minimalistic with attention to your content. This is a simple theme that will not dizzy you with options for every square pixel, but instead gets your job done peacefully. Onto the features of Armani theme. Following are some of the highlights of the theme. I have tried to list them all down here, even if I have miss some you will be sure to find it. Video on homepage if dont want slider. 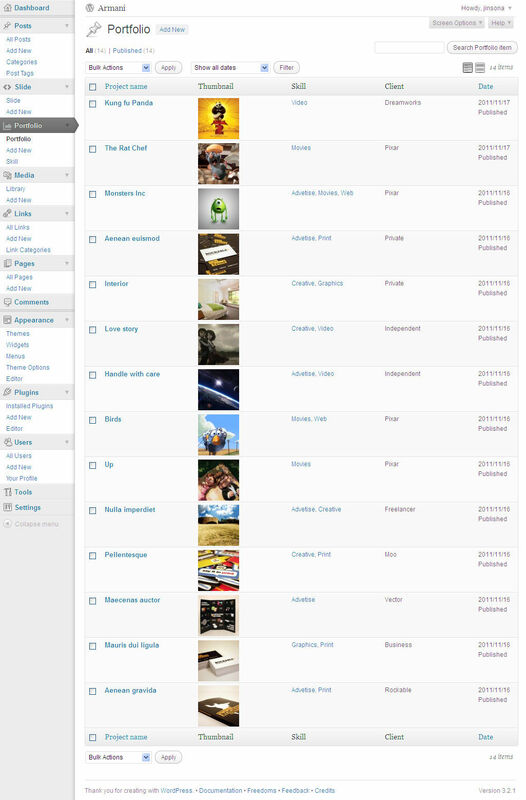 Few shortcodes and more Custom styles for buttons, contentboxes, layout columns, list styles etc. 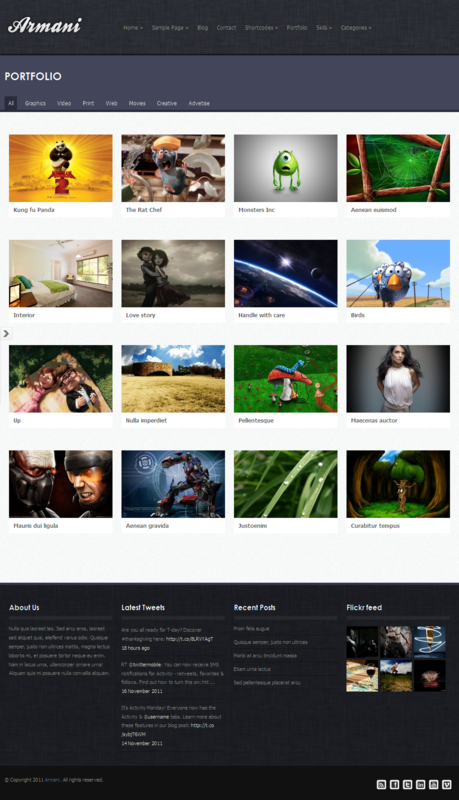 WordPress custom post type feature powers the Portfolio and Featured slides. 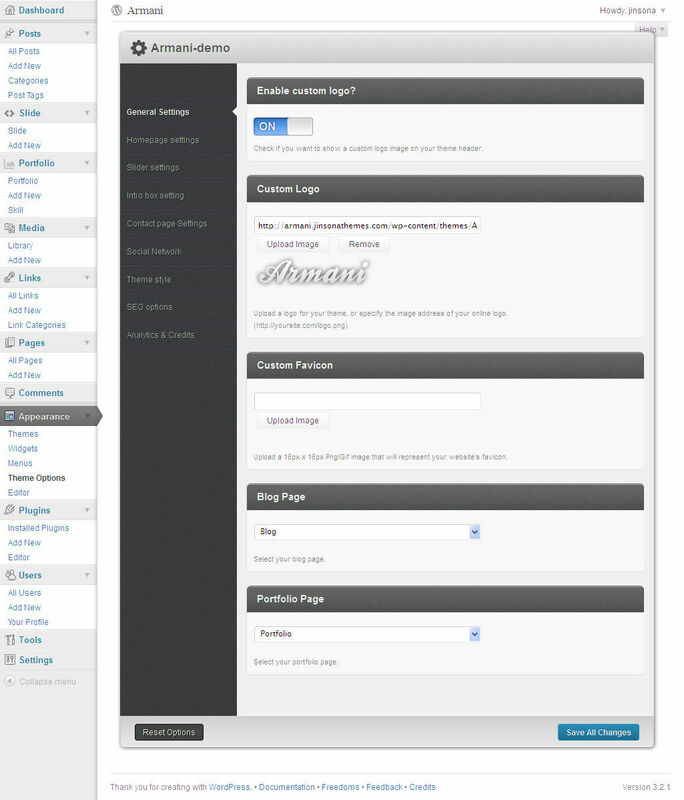 The options are powered with an unbranded theme options panel. Set your theme options on a fly. Theme has 4 custom widgets built in. Flickr, Twitter, Testimonials and Video widget. 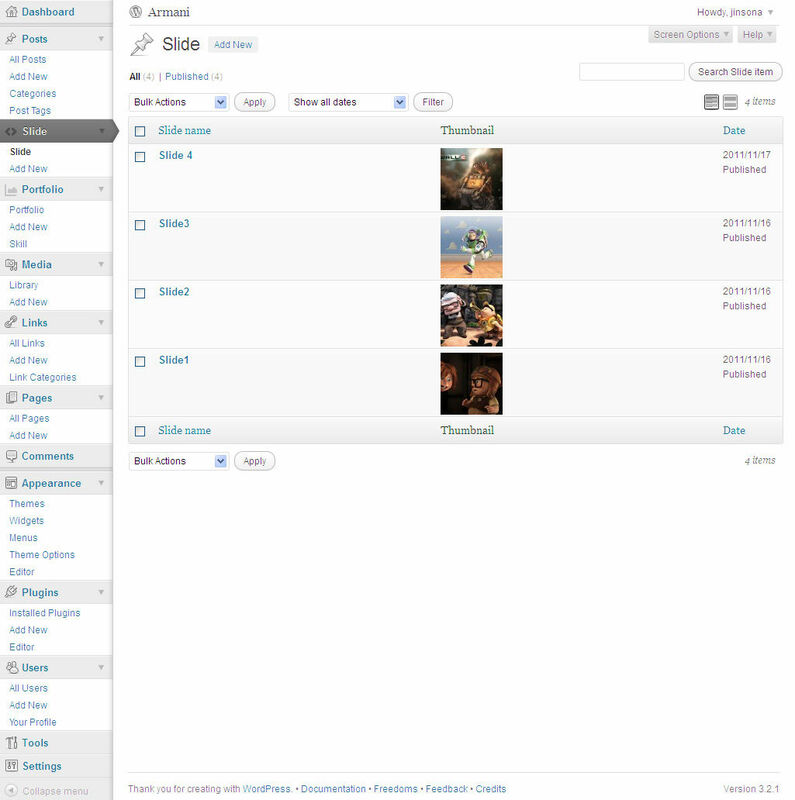 Theme supports Image and video portfolios with separate metaboxes for image uploads and video embed options. Theme Support + Free Updates! Yes, of course theme support will be provided. Plz head to the Support forum and register with your purchase code or Mojothemes username.